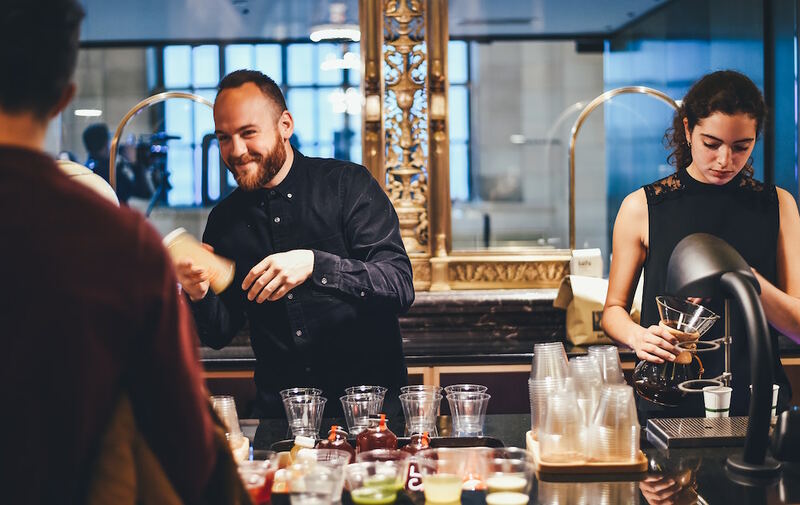 World Bartender Day is coming up fast (24th February), and with bartending increasingly being recognised as a serious and admirable career choice, there’s no better time to celebrate those dedicated to the profession. Whilst it’s a time to give yourselves a firm pat on the back for the contribution you make to your city’s culture and nightlife, it’s also time to reflect on how you can continue to give your best every night on the job. Bartending is an incredibly physical job. Between shaking, pouring, standing for hours on end, lifting heavy boxes and working to the wee hours of the morning often on minimal sleep, it’s no wonder bartending is often associated with some pretty bad health issues. We know you love what you do, so Drinks World has pulled together a short guide on how you can continue to work that bar and keep yourself feeling fit and fine. Working nights and sleeping through the days upsets the body’s natural rhythms, which can result in terrible sleeps. Although we can hear many of you say, “this is normal, we’re all tired nowadays,” this is nothing to bat an eyelid at. Poor sleep has been associated with higher rates of obesity, mental illness, mortality and chronic diseases, including heart problems. We suggest totally revamping your bedroom to make it a sleep-only space. Remove TVs, computers or any electronic devices casting blue lights and place them in another room. With them, leave your mobile phone and instead opt for a traditional alarm clock to get you up and out of bed. Everywhere we turn there seems to be a new fad diet/health craze promising to transform your life, but in reality it’s best to keep it simple. Steer clear of processed foods and focus on including as many fruits, vegetables, wholegrains, healthy fats and lean proteins in your diet as you can. We know creamy carbonara is possibly the easiest, most delicious meal to throw together when you’re on a tight schedule, but it’s one of the worst things you can eat before a long shift. Before stepping out behind the bar, avoid heavy meals high in saturated fat and starchy carbohydrates, like pasta, as they will leave you feeling weighed-down and lethargic during your shift. Did you know meal prep isn’t just for Instagram models and bodybuilders? We know how hard it can be to eat right when your dinner break is short, or sometimes non-existent, and you only have bar food to choose from. Make a week’s worth of homemade meals on your day off and store them in the back fridge at your bar. Not only is it cost effective, it allows you to keep track of exactly what you’re putting into your precious body. For a quick energy hit, choose protein rich snacks, such as unsalted nuts or bananas, or apples, which are full of natural sugars proven to wake you up better than a caffeine hit! Finally, stay hydrated! We know this sounds self-explanatory, but it’s easy to fall into the trap of taking a quick shot here and there, rather than drinking water. This is actually more detrimental, as alcohol dehydrates the body. Two of the most common ailments bartenders complain of are bad backs and strained wrists/arms. Spending hours on your feet, running back and forth and shaking up drinks can result in poor posture and repetitive strain injuries (RSI). Invest in a good pair of shoes with sole support and make sure you stretch your back, legs and arms before each shift. We promise you’ll feel a difference. We’ve all heard the old adage ‘the bartender is the best therapist’, but did you know bartending can be incredibly taxing on your mental health? Spending hours on end in a dark, cramped space can take its toll, and it’s often hard for bartenders to speak up about how they’re feeling, as bars often don’t have human resource departments to turn to. That’s why it’s incredibly important to create a community for yourself outside the bar world. Spend your days off doing things you love other than drinking. Join a team sport, a dance class or even a knitting circle! Whatever works for you! Implementing all these simple steps will lead to greater energy levels, better focus and a happier outlook, all of which you’ll bring to the bar to create the best experience for your customers and ensure you can keep working that bar for years to come! Next article¡Olé! 5 Cocktails to Get the Fiesta Going this World Margarita Day!